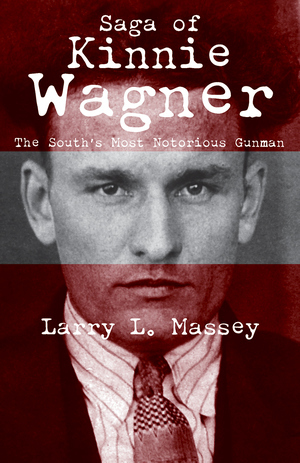 From his birth in Virginia to his death in a Mississippi prison, biographer Larry L. Massey captures the astounding true story of Kinnie Wagner. The notorious outlaw began his career as a circus star and sharpshooter, skills that would serve him well in his criminal endeavors. His exploits included bootlegging, thieving, and murdering and his querulous actions gained him recognition as the South’s most notorious gunman. Wagner had more than a few run-ins with the law during his lifetime. Bars couldn’t hold him the charming criminal and he achieved legendary status by repeatedly escaping, only to be recaptured. Multiple magazine articles, novelizations, and even folk songs have popularized his story. As a member of the Authors Guild, Larry L. Massey spends the majority of his time researching and writing about Southern outlaws. Massey obtained his bachelor’s in biology from Auburn University, and both his masters and doctorate degrees from the University of Southern Mississippi. He works full-time as an operations research analyst in the Science Planning and Coordination Office of the National Oceanic and Atmospheric Administration. Massey and his wife have two children and four grandchildren.